Azzan, with an estimated population of 50,000 residents, is the latest area to fall to AQAP since it launched a new offensive last year. 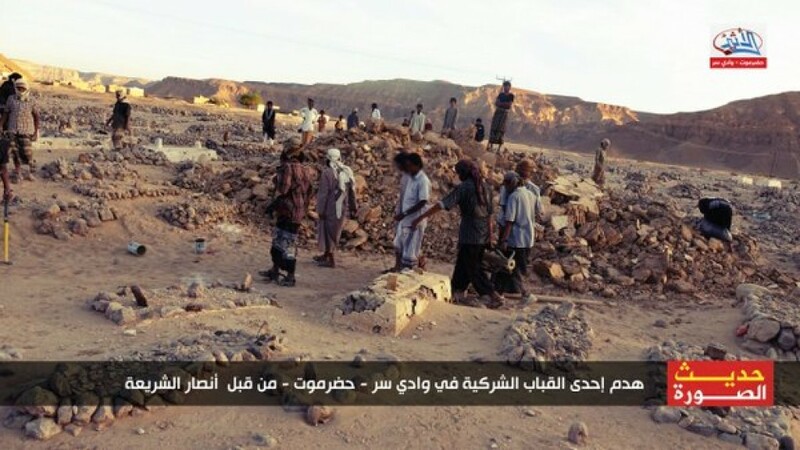 In early April 2015, AQAP seized Mukallah, the capital of Yemen’s eastern province of Hadramout. In addition, the jihadists overran Zinjibar, the capital of the Abyan province, and the nearby town of Jaar in December. AQAP controls other towns and villages in the south as well, while regularly launching operations in other parts of the country. AQAP first seized Azzan after the 2011 Arab uprisings shook the Yemeni government. However, the jihadists lost control of the town in June 2012 when forces loyal to President Abd Rabbuh Mansur Hadi evicted them. The battle for Azzan was a “big victory over al Qaeda elements,” Hadi said at the time, according to Agence France-Presse. Government loyalists and AQAP fought one another in Azzan repeatedly over the next two years. 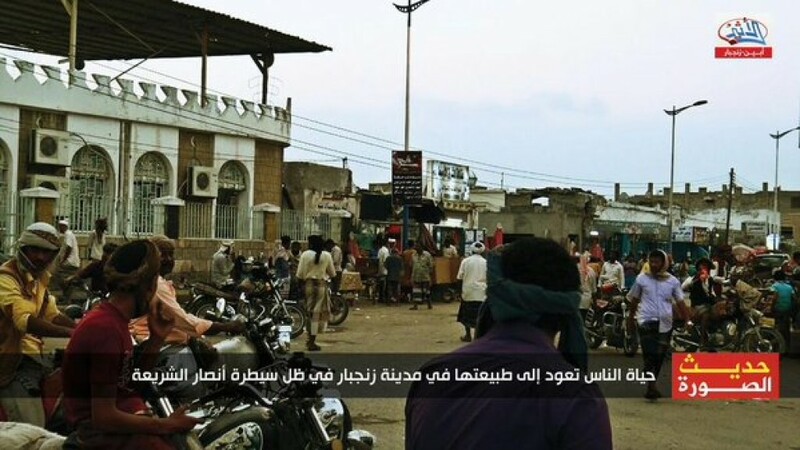 During one battle in May 2014, for instance, AQAP failed to retake the town from security forces. Houthi rebels toppled the Yemeni government after surging in late 2014 and early 2015. AQAP has claimed hundreds of attacks against the Shiite Houthis since then, and has used the chaotic multi-sided war to gain ground from other opponents. 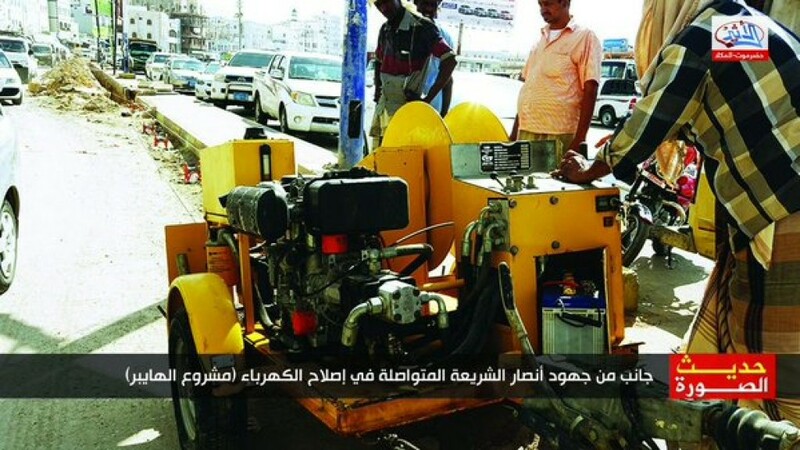 AQAP has also capitalized on the Saudi-led campaign, which has failed to dislodge the Houthis. As the jihadists gained ground throughout 2015, the US did kill several top AQAP figures in airstrikes. Among those killed was AQAP’s emir, Nasir al Wuhayshi, who also served as a top official in al Qaeda’s global organization. However, the successful drone strikes haven’t slowed al Qaeda’s guerrilla war in Yemen. And AQAP quickly introduced new leaders to be the public faces of the organization. When AQAP first seized territory in 2011 and 2012, the group created a new name to market its governance efforts: Ansar al Sharia. The US State Department subsequently described Ansar al Sharia as “simply AQAP’s effort to rebrand itself, with the aim of manipulating people to join AQAP’s terrorist cause.” Ansar al Sharia “has publicly stated that the particular brand of sharia they hope to implement is the same as that espoused by the Afghan Taliban and the Islamic State of Iraq, a militant umbrella group” that included al Qaeda in Iraq, the State Department noted in October 2012. The Islamic State of Iraq evolved into the Islamic State of Iraq and the Sham after expanding its operations into Syria in 2013. Now known simply as the Islamic State, Abu Bakr al Baghdadi’s organization has become al Qaeda’s jihadist rival. Still, AQAP is implementing sharia-style governance in at least some of the areas under its control in Yemen. And newly launched social media sites are intended to highlight these efforts, as well as the organization’s other social services. On Jan. 23, a Twitter feed for Al Ather “news” agency began publishing photos and videos of Ansar al Sharia’s supposed good works. (Some of the images from Al Ather can be seen at the end of this article.) 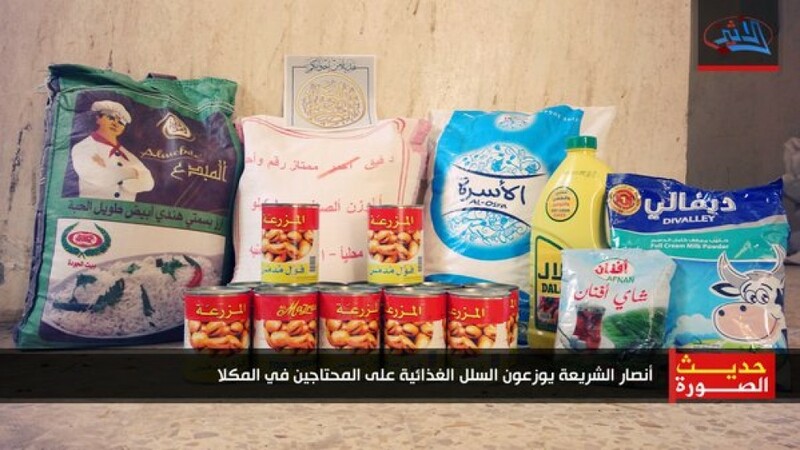 The first photos showed food baskets that were handed out to the “needy” in Mukallah, the port city that fell to AQAP last year. 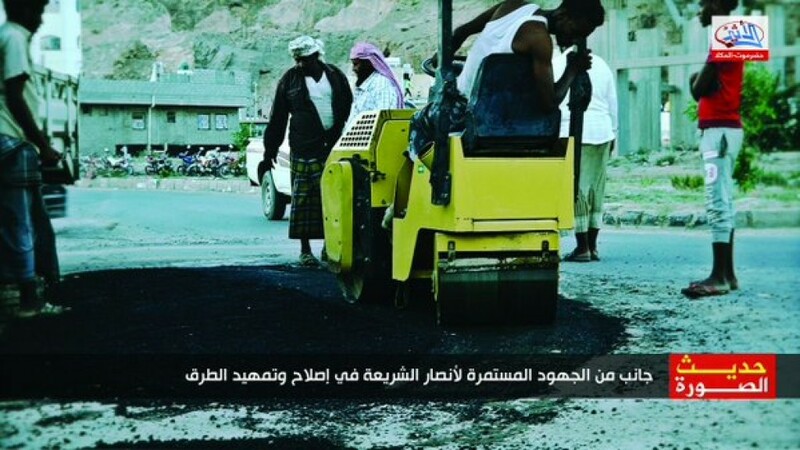 A second set of images tweeted on Jan. 26 documented a project intended to improve the residents’ access to electricity, a crew of workers paving streets, and garbage trucks hauling away trash in the Hadramout province. In a separate series, packages allegedly containing narcotics taken from residents in the Abyan province were displayed. 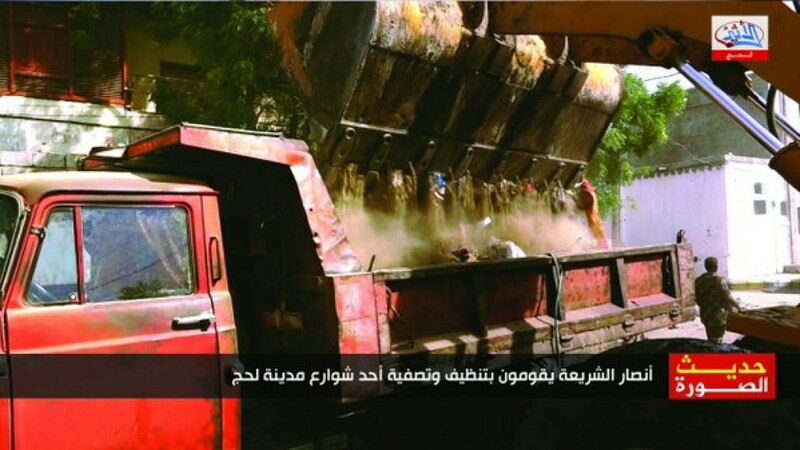 Two photos tweeted on Jan. 27 are intended to reassure readers, as the captions put it, that life has returned to “normal” in the city of Zinjibar now that it is under Ansar al Sharia’s control. 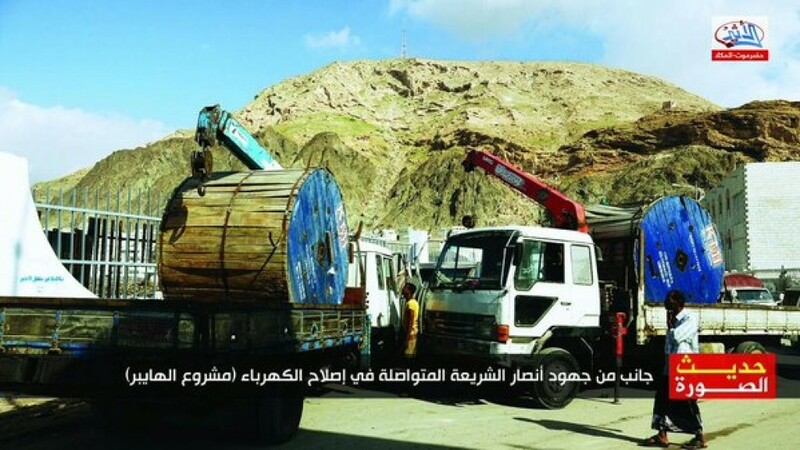 Several additional images released on Jan. 28 purportedly show “toxic chemicals” confiscated in “Waqar,” which is what AQAP calls the town of Jaar. 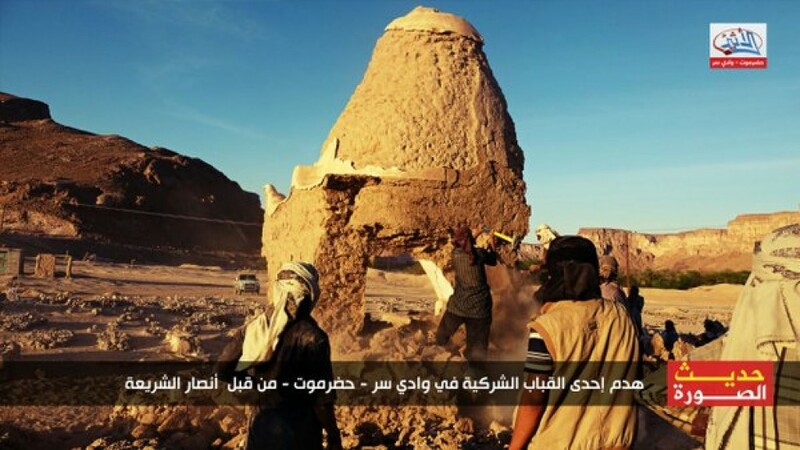 The Al Ather news agency touted Ansar al Sharia’s destruction of a “polytheistic” shrine or tomb, as well as its provision of “medical services,” in subsequent images released from Hadramout. Consistent with AQAP’s (and Ansar al Sharia’s) approach to imposing sharia, Al Ather does not give readers an close look at the victims who are punished under the draconian laws. For example, four photos tweeted on Feb. 1 document the “stoning” of a Muslim who committed “adultery.” The actual stoning is not pictured, nor is the victim. Instead, the scene is photographed from some distance. It is likely that al Qaeda wants Muslims (including the large crowd that attended the execution) to know that it is imposing sharia’s punishments, but was reticent about widely publicizing the results of the gruesome death sentence. AQAP has long documented the jihadists’ war against the Houthis and others. Ansar al Sharia has maintained social media accounts responsible for reporting on the group’s military operations against the Houthis and others. 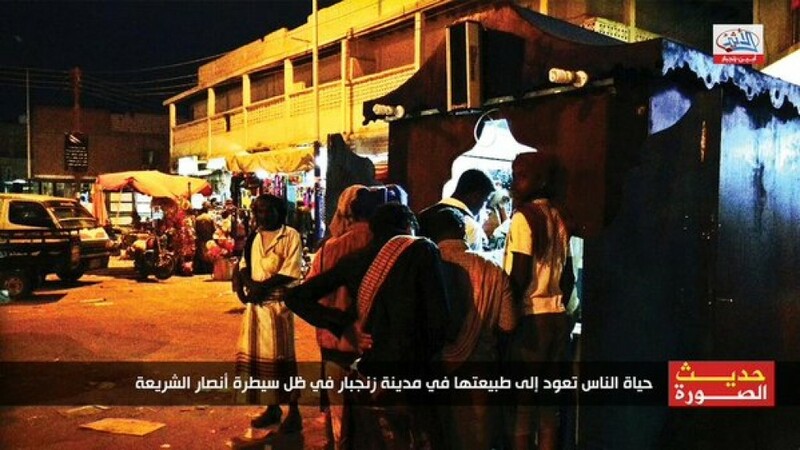 Al Ather “news” is part of al Qaeda’s attempt to market Ansar al Sharia’s other activities, including those intended to woo more Yemenis to its cause. Al Ather is also likely part of an attempt to answer the Islamic State’s argument that al Qaeda does not implement sharia in the areas under its control.